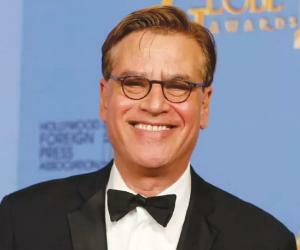 Aaron Sorkin is a playwright, producer, and screenwriter of American origin. He has also done cameo appearances in a few movies that he wrote. This biography provides detailed information about his childhood, life, achievements, works and timeline. Writing is undoubtedly the most integral aspect of any movie, which also plays a great role in making or breaking one. As far as screenplay writing is concerned, Aaron Sorkin is one of the finest gems produced by America. He has won accolades from world over for his incredible rapid-fire style of dialogues, and lengthy monologues. Aaron has penned more than a dozen screenplays, including the recent blockbusters ‘The Social Network’ and ‘Moneyball’. He has also been the mastermind behind a few plays, and has done cameo appearances in around 7 movies such as ‘A Few Good Men’ and ‘The American President’. However, Sorkin has also worked without any credits on few international projects. When asked about why he aspired to be a writer, Aaron responded by saying that he could not express himself completely in the presence of his friends and family members, but writing made him feel that the world is a much better place. Aaron has also offered script doctoring services to many filmmakers for their blockbuster projects. He holds the credit of working on numerous television projects which spanned many years. 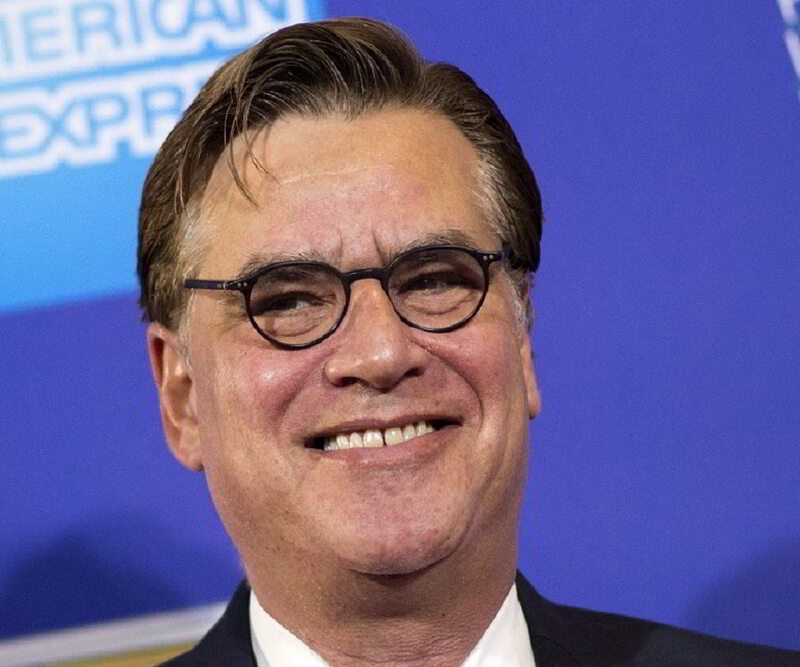 Aaron Sorkin was born in Manhattan, however, he grew up in the suburban region of New York called Scarsdale. Sorkin’s father was a copyright lawyer by profession, who had also fought in World War II, whereas his mother was a school teacher. He also has two siblings, a sister and a brother who are older to him. Both his siblings became lawyers. He was introduced to the world of theatre at a very young age by his parents, who showed him plays such as ‘Who’s afraid of Virginia Wolf?’ and ‘That Championship Season’. This allured him towards acting. Sorkin was an active member of the drama and theatre club at the Scarsdale high school. He played the roles of General Bullmoose and Sir Harry in the plays ‘Li’l Abner’ and ‘Once Upon A Matress’ respectively. Sorkin joined the Syracuse University to pursue a degree in fine arts. He faced a big challenge during his freshman year when he failed in one of his core subjects. This became a hurdle to his acting dream, since the drama department did not encourage students who were not very bright academically. In 1983, he graduated from the Syracuse University, and struggled to make ends meet by taking up odd jobs such as handing out flyers, telegrams, driving limousines, and even bartending. Even during this phase of struggle, Sorkin didn’t give up writing. The production of one of his plays impressed producer John. A. Mcquiggan who asked him to make a play called ‘Making Movies’. This work established Aaron’s reputation as a playwright in the theatre circles of New York. In 1988, the movie rights of Aaron’s famous play ‘A Few Good Men’ were bought by producer David Brown. A whopping six figure amount was paid to Sorkin by producer for this adaptation. The movie turned out to be one of the most remarkable pieces of cinema. Aaron was hired for screenwriting by a production house named Castle Rock Entertainment. Inc in the early 1990s. ‘The American President’, ‘Malice’ and ‘A Few Good Men’ were films he wrote during this period. Each of these films turned out to be major blockbusters grossing around US$400 million at the box office. As a script doctor, he has worked on films like ‘The Rock’ starring Nicolas Cage, and also ‘The Enemy of The State’, a movie where Will Smith played the lead role. However, his efforts went uncredited. Aaron’s stint with television began in the year 1998 with a comedy series called the ‘Sports Night’. This series was aired by the channel NBC, who later called it off due to low ratings. In the year 1999, the second series written by him, called ‘Westwing’ went on air. It was broadcast by Warner Bros. TV. This TV show went on to win nine Emmy awards, and also many praises for writer Aaron. In the year 2005, he revived his famous play ‘A Few Good Men’, which was premiered at a theatre at London. The show was well applauded by the audiences. In 2007, Sorkin returned to cinema. 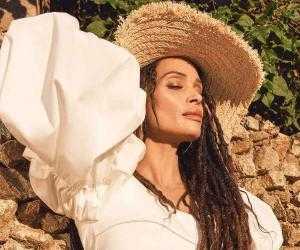 This year saw the release of his film ‘Charlie Wilson’s War’ which boasted of a star cast like Tom Hanks and Julia Roberts. Later he also co-wrote the screenplays of the movies ‘Moneyball’ and ‘The Social Network’. He has completed the screenplay for a yet-to-be named biopic on Steve Jobs. The film will be directed by David Fincher, who is keen on casting Christian Bale as Jobs. Aaron Sorkin earned a place for himself in the field of art with his famous play ‘Hidden in This Picture’, which was later adapted as ‘Making Movies’, as per the suggestion of producer David Brown. His most famous play, ‘A Few Good Men’, was adapted into a 1992 movie of the same name starring Tom Cruise, Jack Nicholson and Demi Moore. The movie turned out to be a major box office success. Aaron credits the inspiration of this script to his sister who visited the Guantanamo Bay while handling a case. ‘The American President’ and ‘Malice’ were his other works as a screenwriter which were huge box office successes, which earned a few hundred million dollars for its makers. He returned to screenwriting after a long gap with the movies ‘Charlie Wilson war’, ‘The Social Network’, and ‘Moneyball’. All these three movies were received well by the audiences worldwide. For four consecutive years starting from 2000, he shared the ‘Primetime Emmy Outstanding Drama Series’ with a team of nine other producers of the hugely popular serial, ‘The West Wing’. Sorkin won four major awards in the ‘Best Adapted Screenplay’ category for the film, ‘The Social Network’ in 2011 – ‘Oscar’, ‘Golden Globe’, ‘BAFTA Film Award’ and ‘Broadcast Film Critics Association’s Critics Choice Award’. He shared three screenplay awards with Steven Zaillian for ‘Moneyball’ in 2011 – ‘Broadcast Film Critics Association Critics Choice Award’, ‘Boston Society of Film Critics Award’ and ‘Chicago Film Critics Association Award’. In the year 1987, Sorkin fell in love with narcotics like cocaine and Marijuana. It’s claimed that these drugs helped him cope with everyday ‘nervous tensions’. His addiction continued for several years. In the year 1995, he checked into a rehab located in Minnesota, on the advice of his then girlfriend Julia Bingham to deal with his cocaine addiction. Just two years after his supposed ‘de-addiction’ in 2001, he was arrested at the airport with marijuana and hallucinogenic mushrooms. He married his girlfriend Julia Bingham in the year 1996. This relationship lasted for around 9 years until they divorced in the year 2005. His addiction to drugs and workaholic nature were a couple of reasons for the break up. The couple has a daughter named Roxy, who is 14 years old. He also dated actresses such as Kristin Chenoweth, of the ‘West Wing’ fame, and Kristin Davis. Sorkin has always been a strong supporter of the Democratic Party, and has involved himself in various political campaigns for this political party between the years 1999 and 2011. Other than his writing, he has also been popular for voicing his political opinions. Aaron is considered to be one amongst the most ‘Distinguished Alumni’ of his alma-mater, the Scarsdale High School. Apparently, his picture has found a place on his cafeteria wall along with many other students who passed out.